Sun damage causes wrinkles and sun spots while melasma is mostly caused by hormonal changes. Laser can be helpful with sun damage, but is not effective for melasma. Skin care is always the treatment of choice for melasma and is often the treatment of choice for sun damage. Cleanser and toner: this is the first step in getting the oils and dead skin off the face, so that medicated creams can be absorbed. Exfoliderm: exfoliating cream applied in the morning. When patients use this, they may peel slightly for the first few weeks. Exfoliation is important to get rid of surface layers of skin, because the medicated creams are more effective on new skin. Retinoic Acid: This cream is FDA approved for dark spots, wrinkle reduction and acne. Hydroquinone 4%: This is a prescription strength bleaching cream. It is most effective in combination with Retinoic Acid and exfoliation. Sunscreen/moisturizer: It is important to keep protect against the sun or much of the benefits of the treatment will be lost. We recommend that patients use the full Obagi system for three months. They will notice the spots and wrinkles improve after 6 weeks and continue to improve as they continue to use the system. After three months, patients should go off the hydroquinone and retinoic acid for at least three months. Then, they can repeat the process if they would like additional improvement. Even when we use laser to reduce dark spots, we recommend prescription skin care after laser treatments to extend how long the results of laser treatments last. 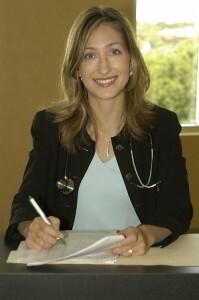 Anne Hermann, MD is double board certified in Internal Medicine and as a Physician Nutrition Specialist. To schedule your appointment, please call (813) 902-9559.